Best Marketing Value: Budget Challenge is so engaging for students that they spend an enormous time on the website and bring the conversation home to parents. Pure ad spending can't deliver comparable marketing value (impressions) and positive brand awareness. The 10-week simulation is so engaging, student see over 400 branded pages on average. The average session for students is 11.8 pages and lasts over 8 minutes. Certificates are a lasting way for students to show off accomplishments. 74.8% of students said Budget Challenge caused their class to have in-depth discussions about real-world finance. 67.8% of students said Budget Challenge prompted real-world personal finance conversations with parents/guardians. "I now know a whole lot more than before because I had never seen a bill before really. My parents never really talked to be about money, however, now we are getting into the talk of it more and more as I am working and getting closer to college. This stimulation has helped me out a lot and becomes more comfortable with the topic, so I thank you very much. More students should do this challenge to become better and more comfortable with money. " "I really didn't know what a budget was and how to stick to it. This challenge opened up good conversations with my parents and me also." "I feel really confident and knowledgeable about dealing with money and expenses. I can understand how my parents feel when they have to keep up with money, bank, and bills. It's a huge responsibility as an adult." For many students, they see for the first time, how far a paycheck really goes. This eye-opening experience can significantly influence career and college decisions. Not many programs have this large of an impact. Be a part of this unforgettable experience and sponsor a class. 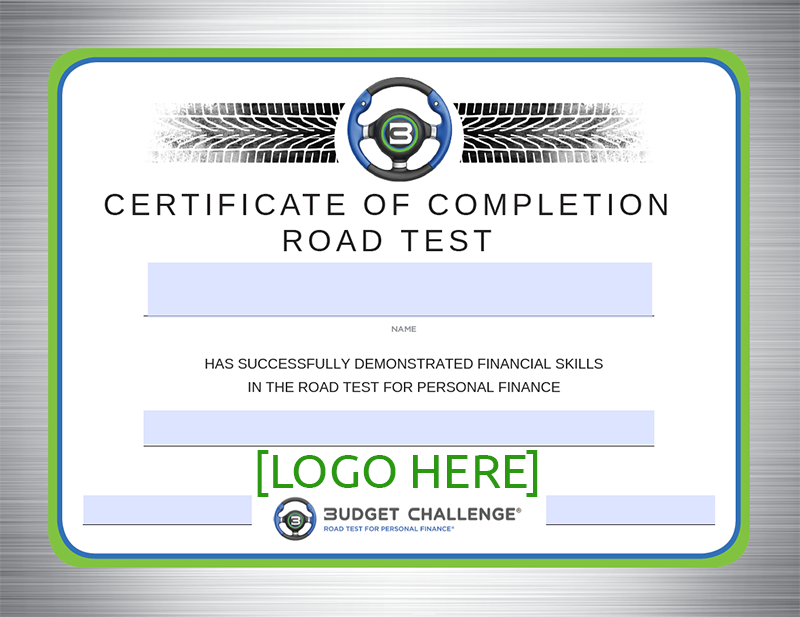 Budget Challenge delivers the best student results and unmatched marketing value for sponsors. And the best part is that we are happy to share the data.